The Extra Theme by Elegant Themes was released way back in December 2015 and as a theme designed specifically for bloggers and news sites. The Extra Theme offers a number of extra features over the (way more popular) Divi Theme, that makes it easy to manage content for anything from personal travel blogs to large news sites. Just like Divi, the Extra Theme is available as part of the Elegant Themes membership and is based on the Divi Builder drag-and-drop page builder. In comparison to Divi, Extra is a lot less popular with PublicWWW data suggesting at least 60 times as many live websites are built using Divi than extra. The number of 3rd party developers creating products for Extra is also considerably less than for Divi. 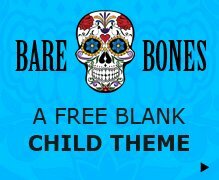 Aspen Grove Studios has an Extra child theme and there are a few other products out there that work on both Divi and Extra, but in reality, there are really very few options for Extra. The difference between Divi and Extra as described on the Elegant Themes site is that “Divi’s primary focus is on the page, Extra’s focus is on the post feed“. 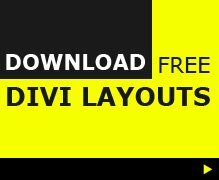 Extra does come with extra features not available in Divi by default such as the category builder and various post options that are aimed at making the creation and display of your blog posts and news items much easier. Most people default to using Divi as it Elegant Themes main theme and has a very solid community for support and 3rd party products, but If the Extra Theme design and functionality out-of-the-box meet your needs for a blogging or news site then it may be worth exploring more. This is 1-of-3 of the live Extra Theme demos on the Elegant Themes website and shows you how the theme will look like once set up with your own content. The theme itself does not come with a one-click-install to get your website looking like this demo, but a child theme that recreates this demo with content can be purchased from Divi Space for $29 here (Affiliate Link). Ballymena Today is a local news and community resource for the Ballymena town and borough. The Bayley Bulletin is a community blog website for Seton School. Twin Mania is a parenting blog covering life with twins. The 36th Avenue is a recipe, DIY and crafting blog. The Podcasting Host is a podcasting blog and resources site that aims to help its users to launch and grow their own podcasts. The Tale Of 2 Backpackers is a travel blog following a husband-and-wife couples journey around India and the world. Furni is a furniture and home accessories store that shows Extra isn’t just for bloggers and news sites! Andrew Uncharted is a travel and photography blog that follows this photographer around the world. Vege Angel is a bilingual (English and Chinese) food blogging site with vegetarian recipes. Walden is a premium Extra child theme available to buy from $29 at Aspen Grove Studios / Divi Space and is one of the few available for Extra. The theme is geared towards content publishers like bloggers or news sites and comes with pre-styled pages ready to add your own content. Extra Module Mate is a premium Extra plugin available to buy from $19 at Aspen Grove Studios / Divi Space and is one of the few available for Extra. The plugin adds the Divi Builder modules to the Extra Category Builder that are not available as default.